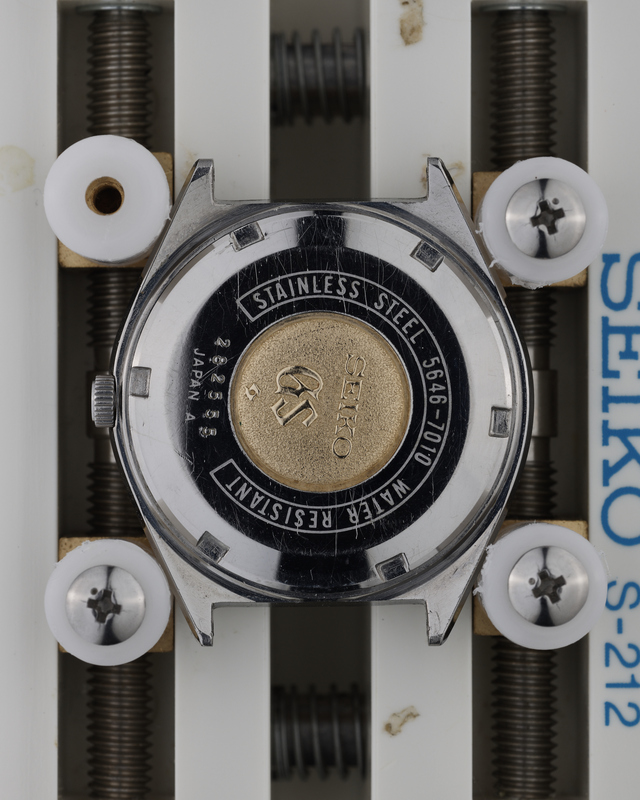 This particular example of a 5646-7010 has a fascinating dial that has changed to an almost totally consistent off-yellow colour over time. 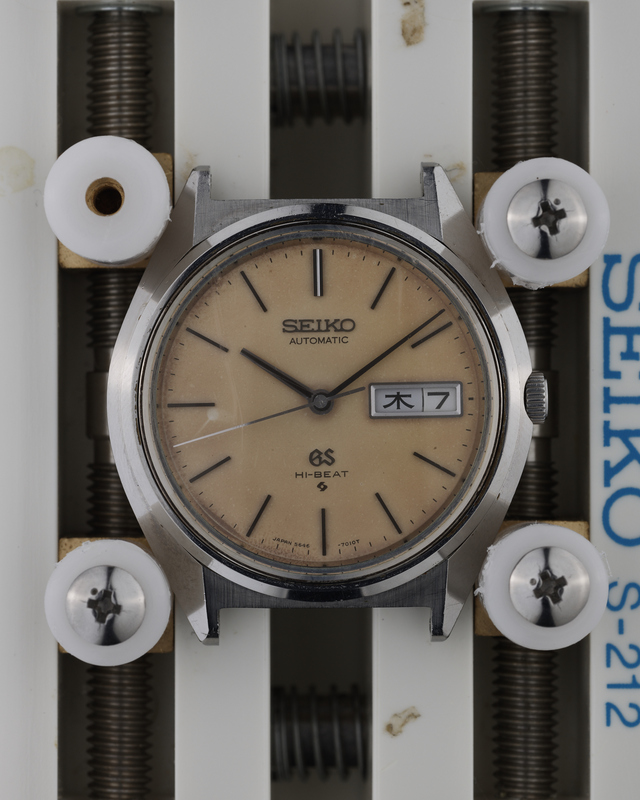 The only part of the dial that seems to have escaped this patination is a small spot under the 9 o’clock index that can be clearly seen on the accompanying images. 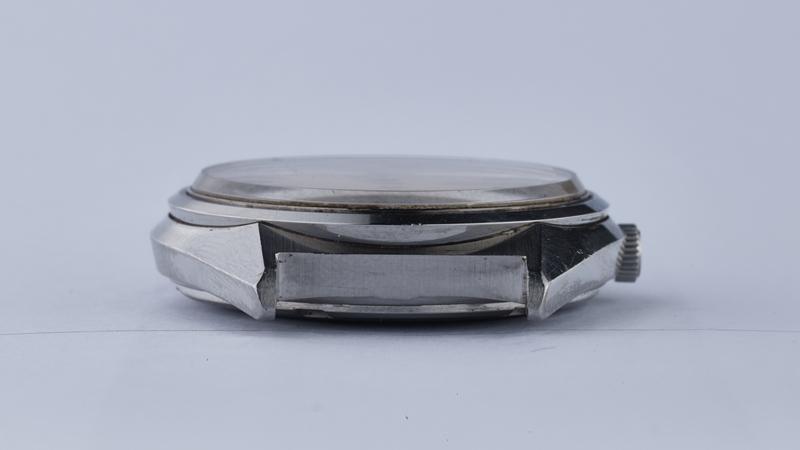 The case has clearly seen very little, if any, polishing, retaining its sharp edges and brushed finishing between the lugs. 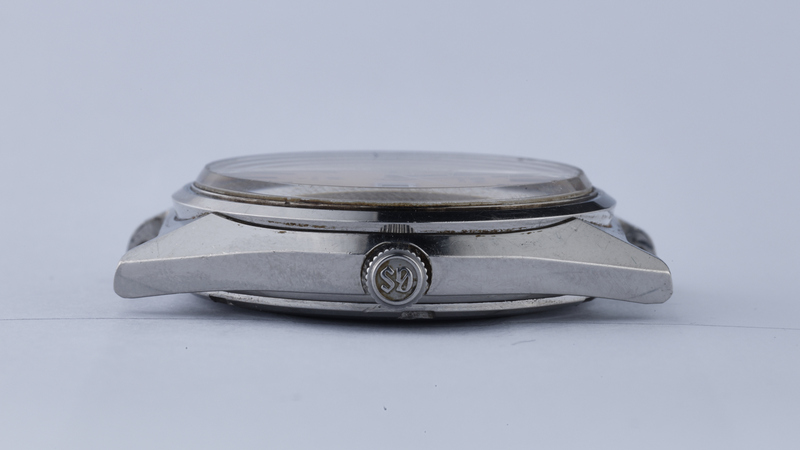 There are plenty of minor signs of wear and tear on the case that can be seen clearly in the photographs. 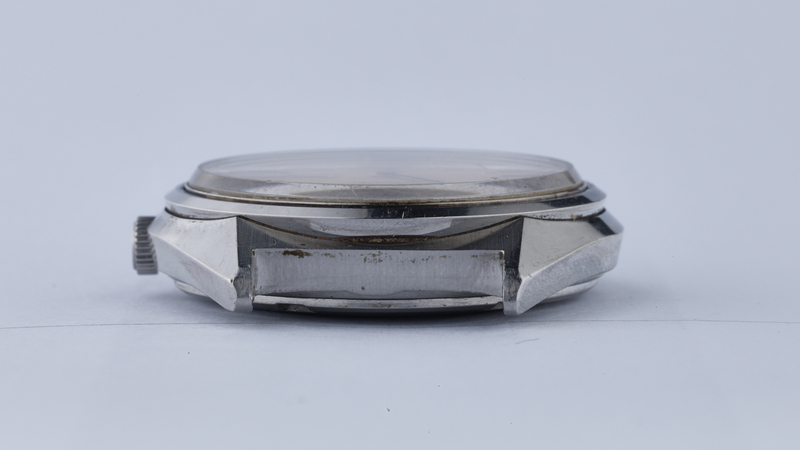 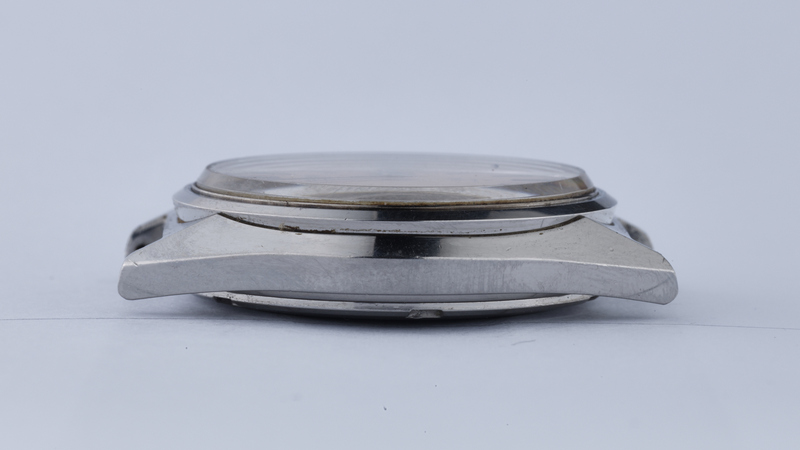 The case back shows minor hairline scratches, and the case back medallion is in excellent condition save for a small scratch towards its left hand edge. 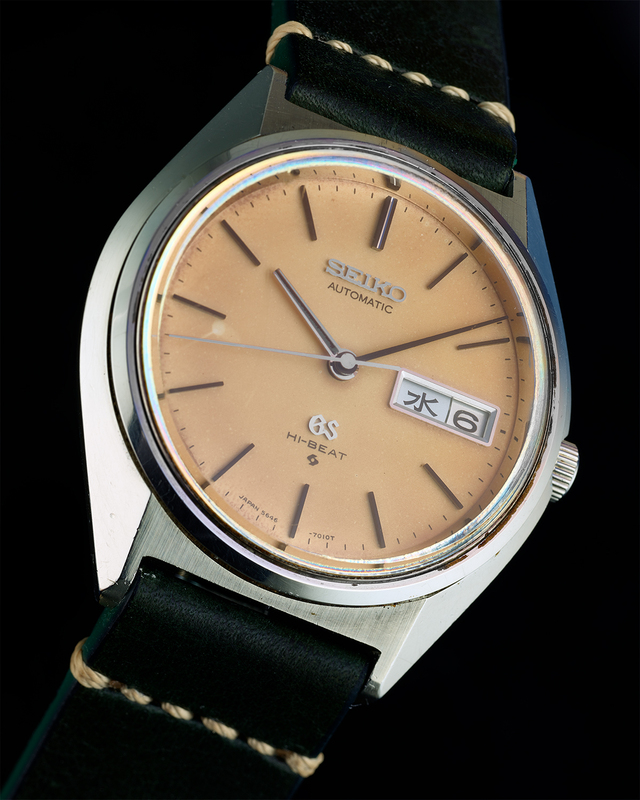 Please note that neither the day nor date quick-set feature is working on this watch, which is priced accordingly.